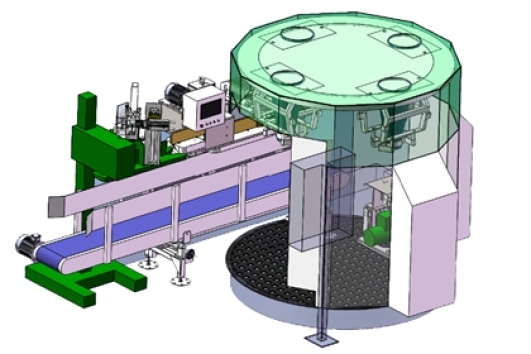 The automated system is a complete line built with our flour packaging machines. 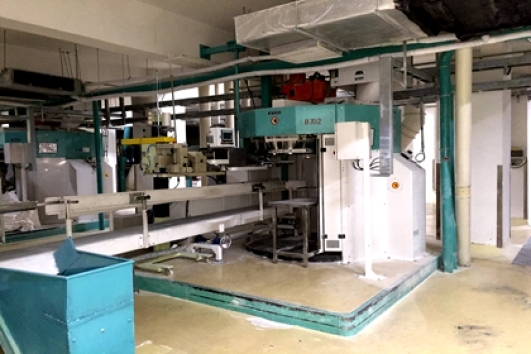 This line is equipped with a four & six bagging scale (existed by customer), a bag vibration machine, a robotic arm bag reformer, a folding machine, a bag closer/sealer and a conveyor. 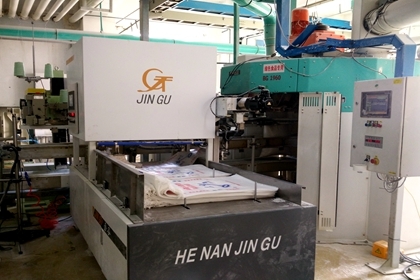 Jingu manufactures flour packaging machines for 25kg PP woven bag productions. 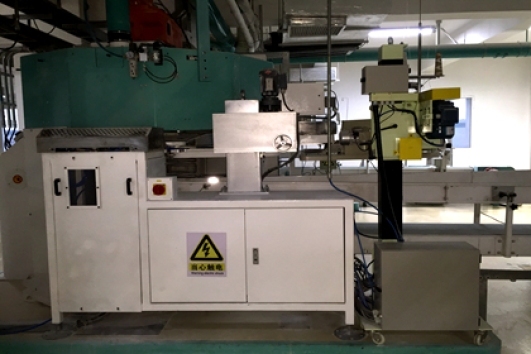 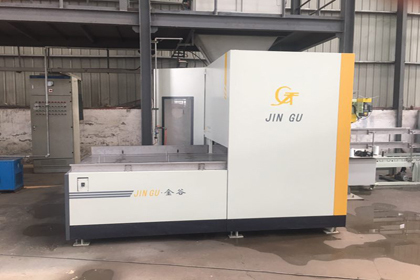 Flour packaging machines from Jingu are accurate, fast and reliable. 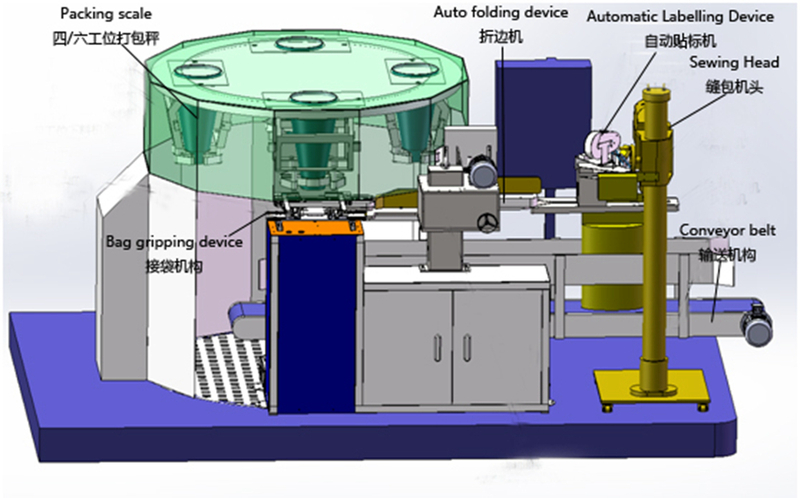 It is a new type packaging machine which is used for 25kg flour PP bag transfer and closing system. 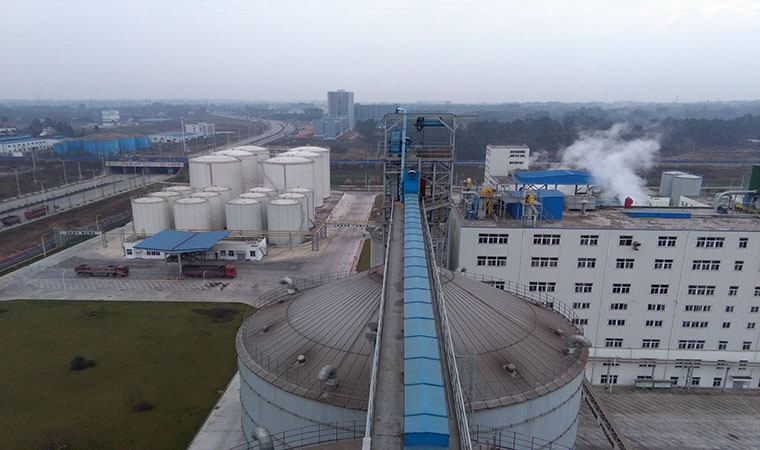 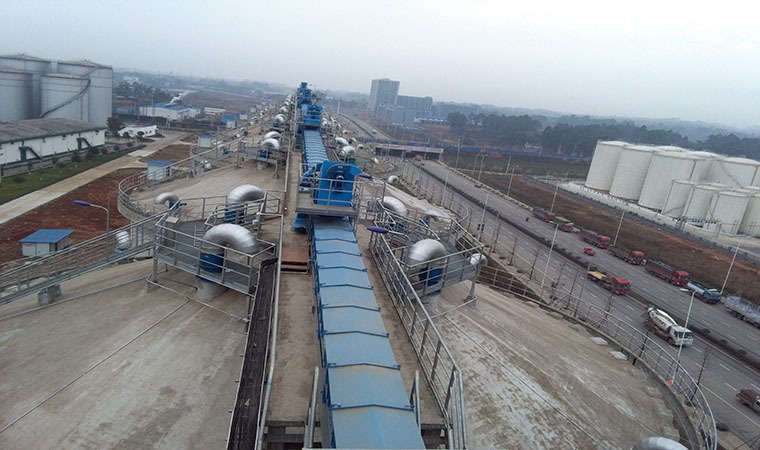 Top 3 of China's flour company include Wilmar, Wudeli, Singrain were already upgraded their packing workshop with this series product to liberate the workforce from high intensity and heavy manual labour. 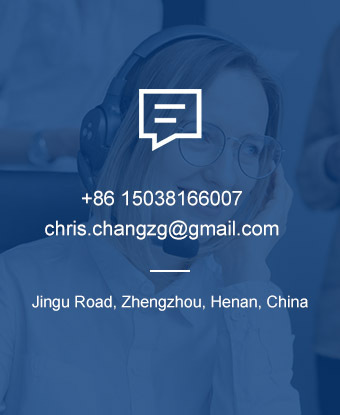 We are always looking for partners at domestic and abroad, hoping to provide our customers more efficient, reliable and qualified automatic packaging solutions. 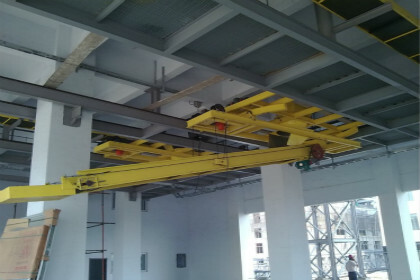 ➭Automatic open mouth reform device. 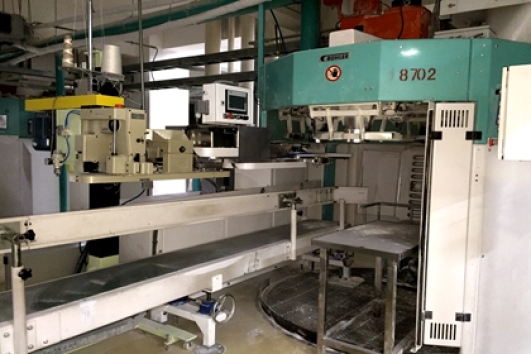 This device may grab filled flour bag and smooth out the wrinkles. 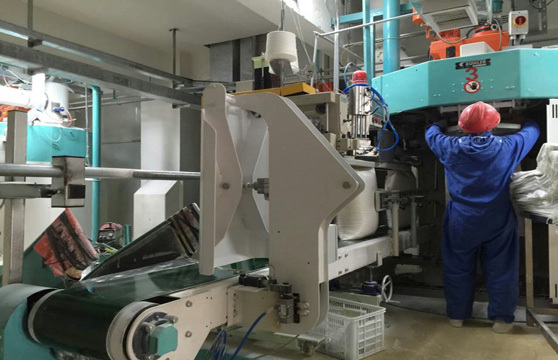 We use friction pickup paper to take paper and robot fingers directly catch the labels into the sewing machine. 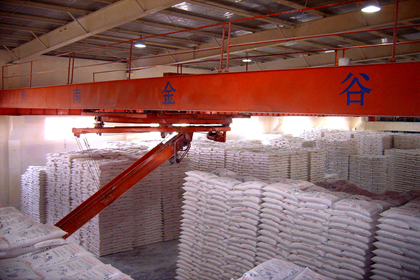 The bag vibration machine will solve the filled flour level difference before bag closing system.